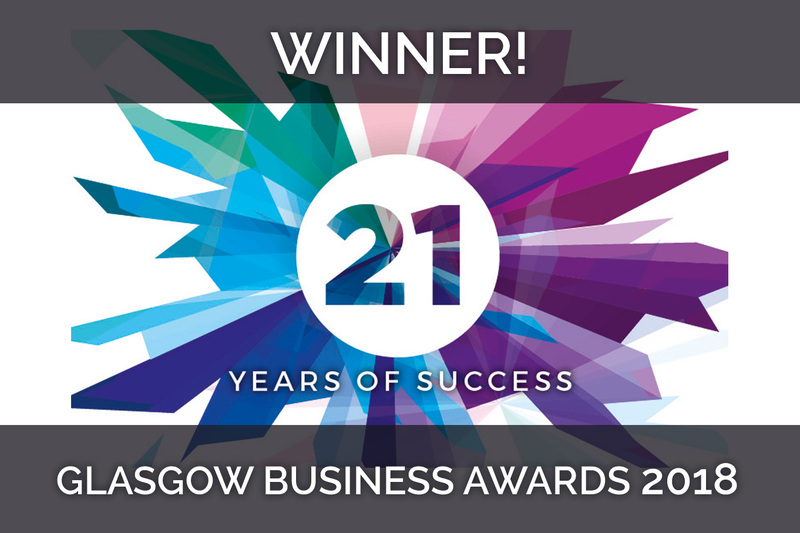 Last night, Andrew Duncan, founder of SwarmOnline was named Entrepreneur of the Year at the Glasgow Business Awards. He was absolutely delighted to win this prestigious award that recognises the most inspiring dynamic and driven leaders in the Glasgow business scene. SwarmOnline started as a one-man consultancy nearly 9 years ago relying on Andrew’s expertise in Sencha technologies and based out of his living room. Swarm is now part of a group of companies that Andrew has set up under the ‘November 21’ banner. With over 30 staff across the group, Andrew has grown his team and surrounded himself with talented individuals who continue to help to grow Swarm’s technology and expertise. Swarm designs, creates and delivers bespoke applications across mobile, web, enterprise and cloud. Working with the latest technologies on projects incorporating Artificial Intelligence, IoT, connected homes, data security, machine learning and experiential technology. In the last year, Andrew launched CU Soar to disrupt the fintech market, spun up a business based around AI technologies and acquired a skills development & mentoring software called Skillstep. Andrew is passionate about developing the next generation of talented software developers in Scotland. He regularly shares his expertise in tech and entrepreneurship with others in the industry. SwarmOnline and the other constituent parts of the November 21 Group are at the forefront of the tech world. For a small Glasgow based business to have built a reputation on a global stage is remarkable. It is down to it’s founder’s drive and expertise as well as the talented team he has built. He continued to explain “I feel lucky to be surrounded by such a strong network of colleagues, family and friends who help me turn my ideas into realities. Together with my team, I’ve built Swarm which is now even beginning to spin out new projects and businesses – it’s all very exciting. I’ve always had a passion for technology and business and to win an award that recognises my entrepreneurial nature and enjoyment for what I do is such an honour. CU Soar has also been experiencing an exciting summer with the nomination for Best Mobile App at the Scottish Herald Digital Business Awards. The results of these awards will be announced at the ceremony held next week in Glasgow on Wednesday 10th October. Read more about CU Soar’s nomination here. You can read more about Andrew’s ‘Entrepreneur of the Year’ award and the other winners from the evening here. Congratulations on your award. Simon would have been delighted in his very laid back way.